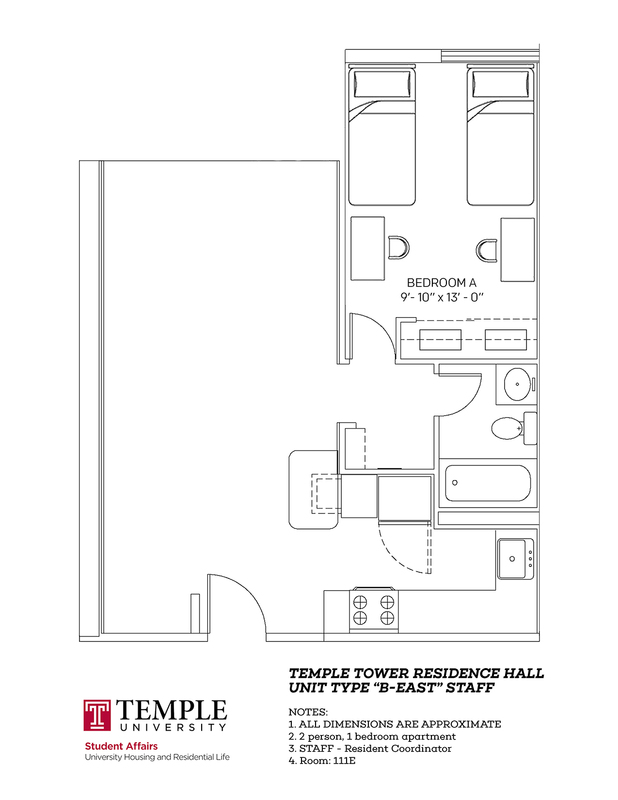 Facilities turns on the heat or the a/c for the building. 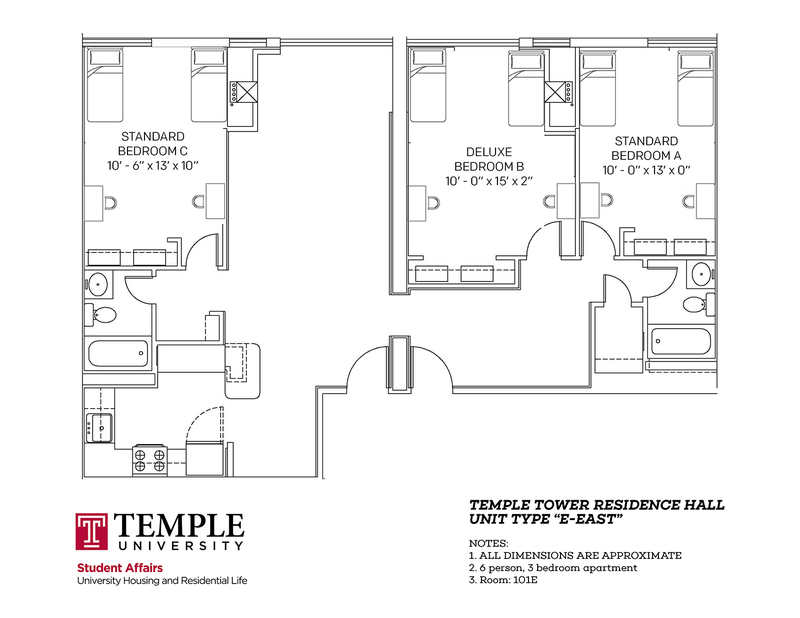 Once turned on, individual apartments can control their temperature. 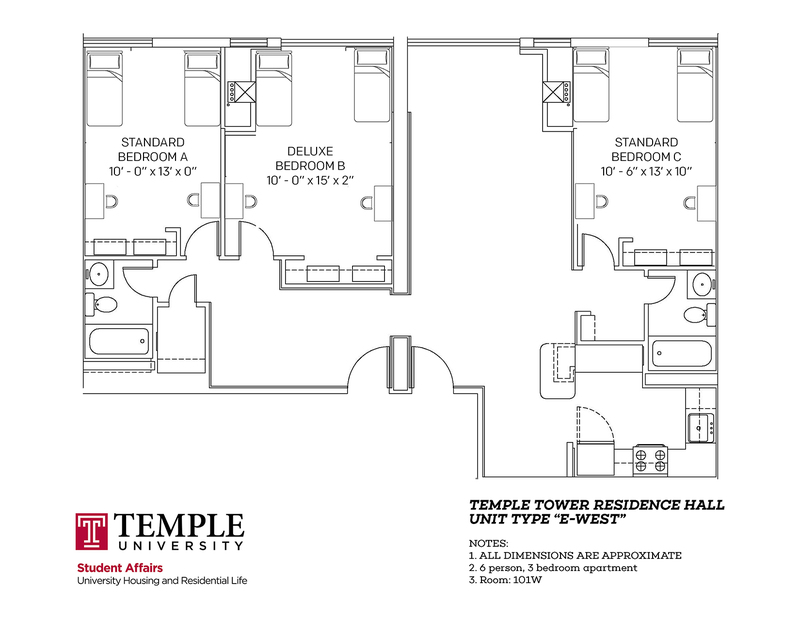 The heat will not activate in a unit if the building is in a/c mode and vice versa. 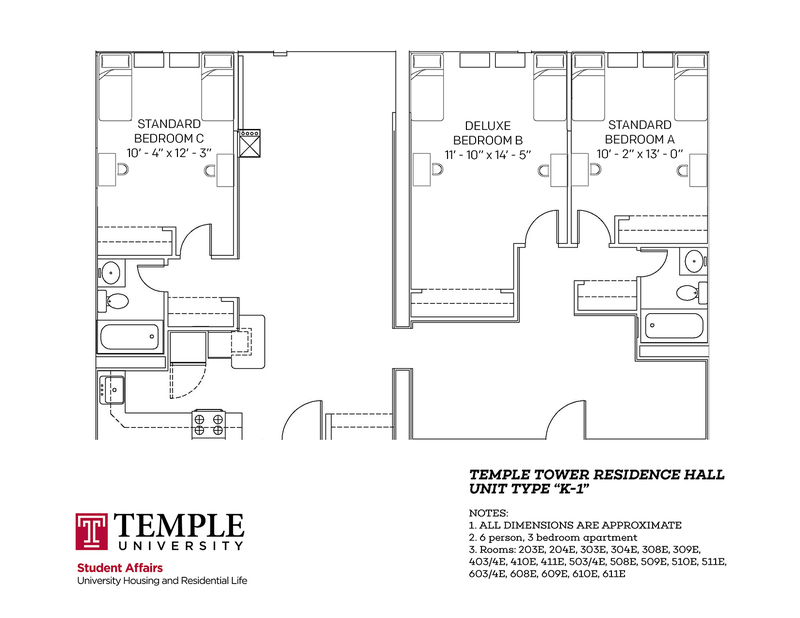 There is an anticipated 3% increase to the current housing rates for the 2018-2019 year. 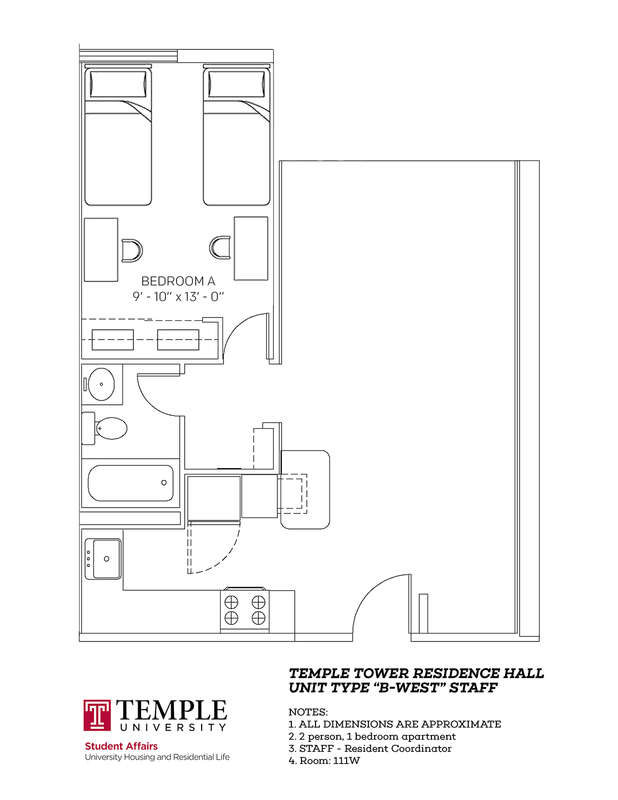 Bedroom furniture, desks and chairs, and living room furniture are provided. 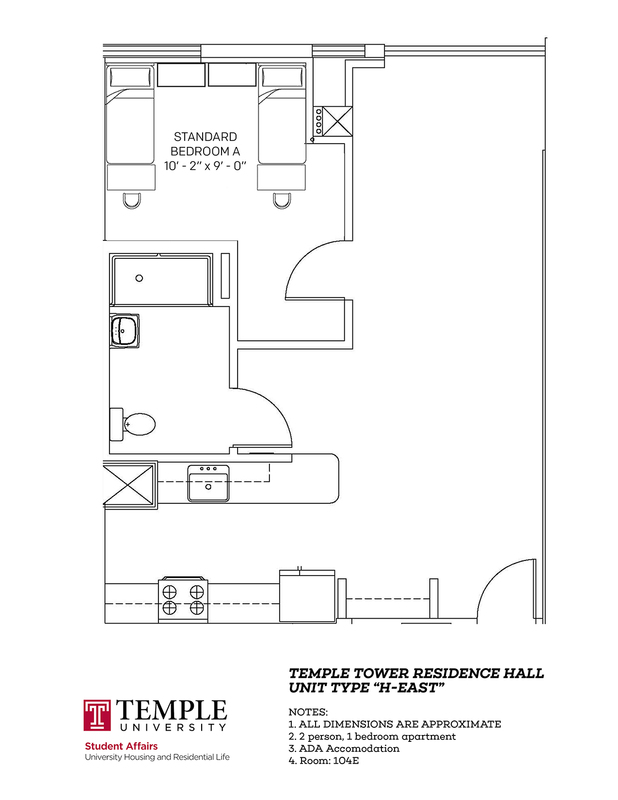 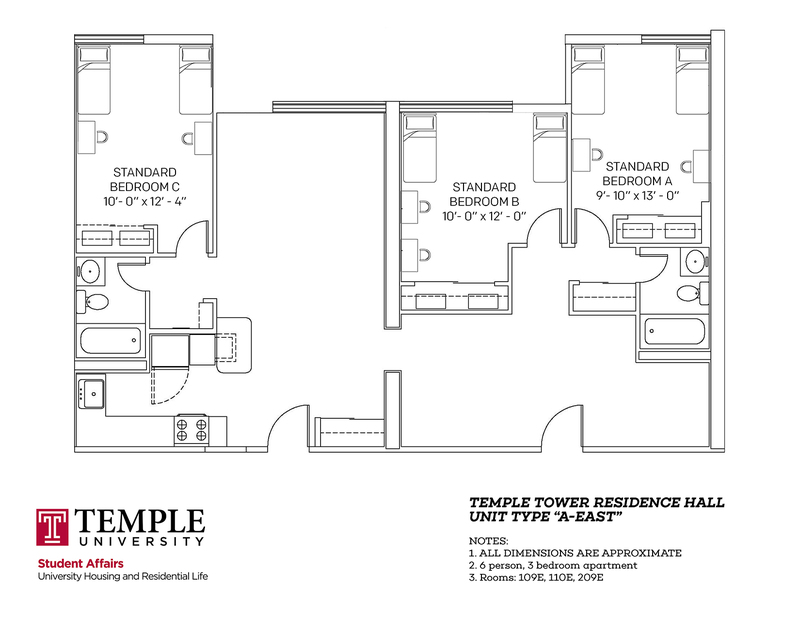 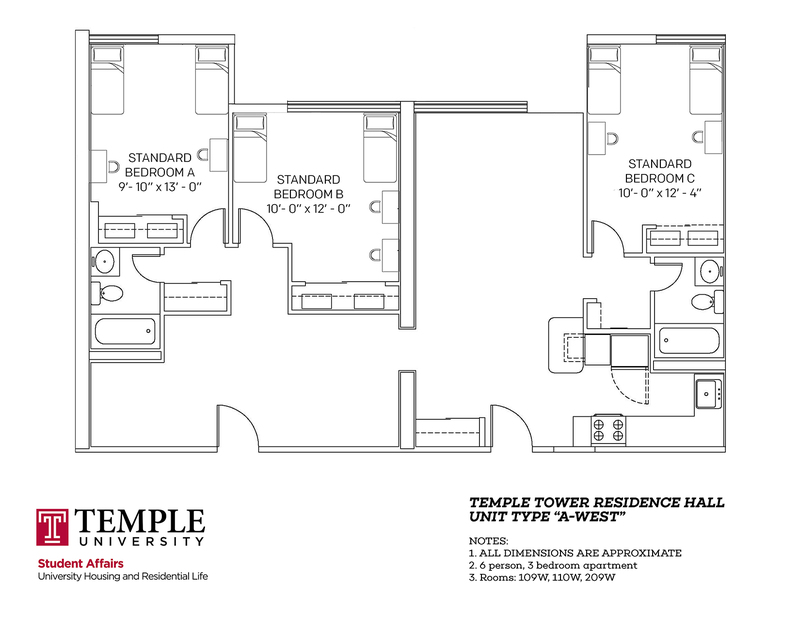 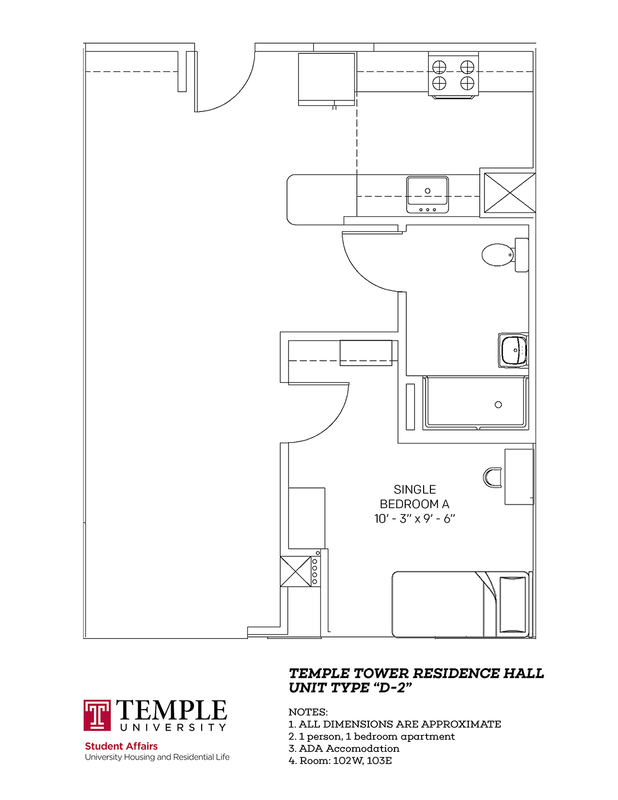 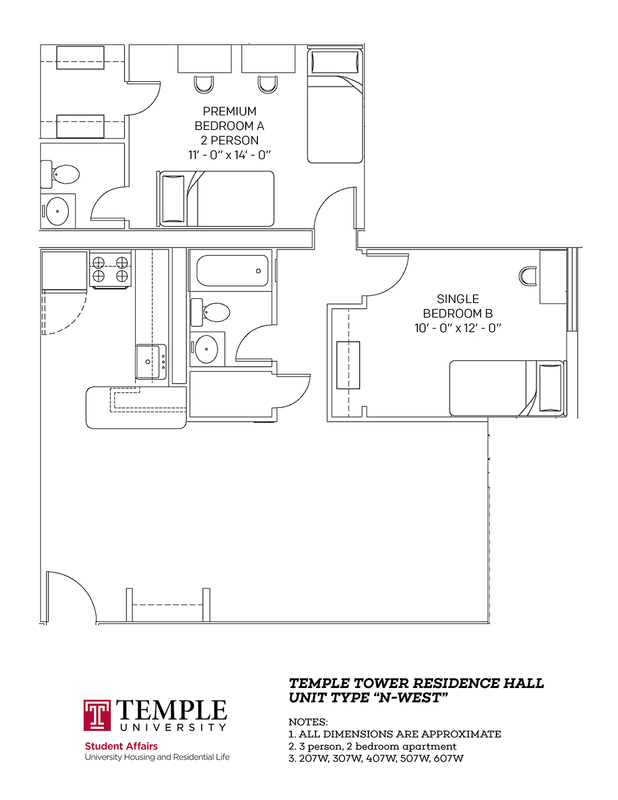 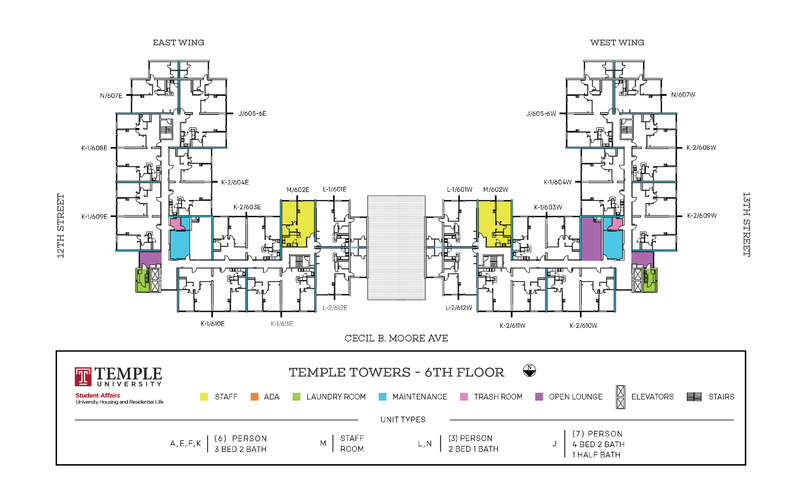 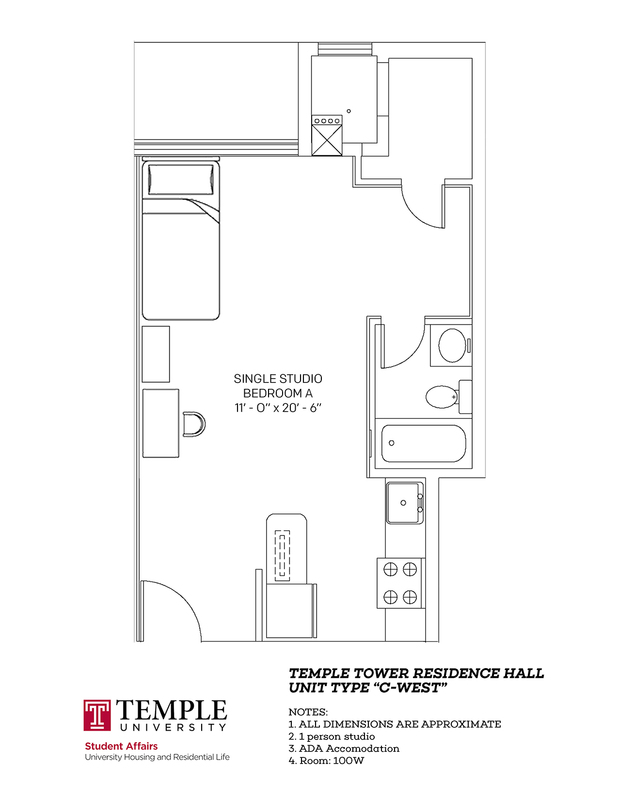 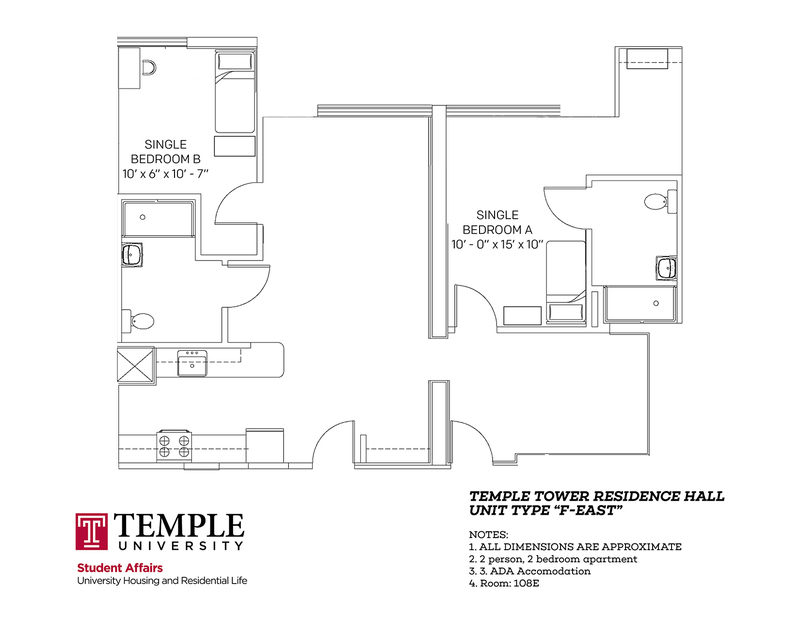 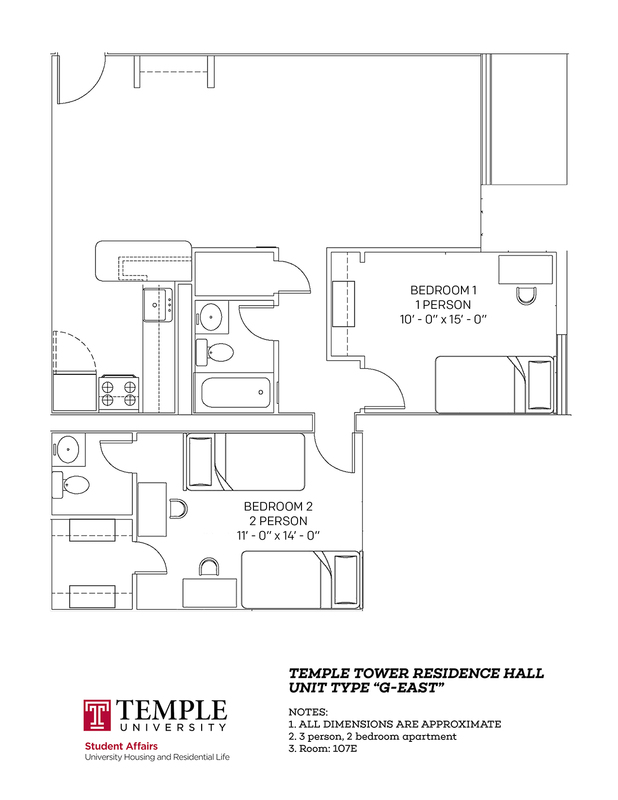 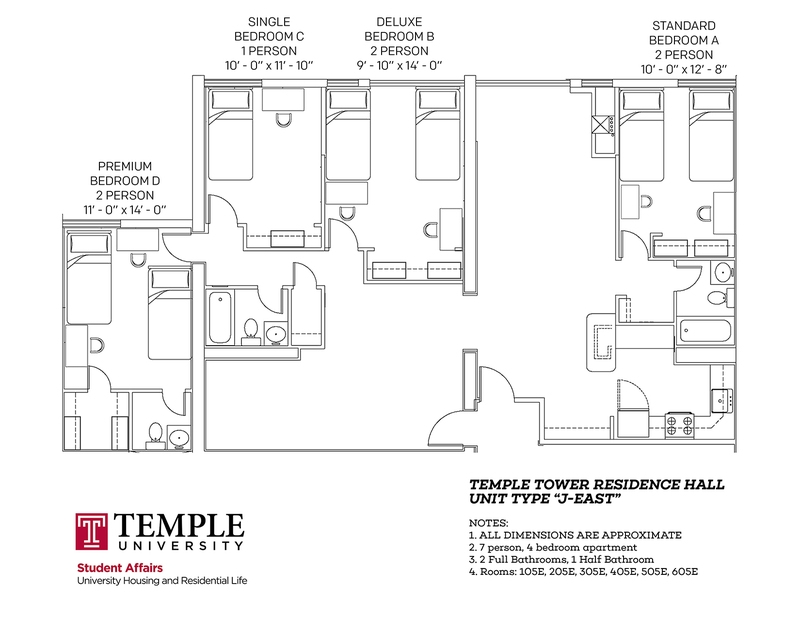 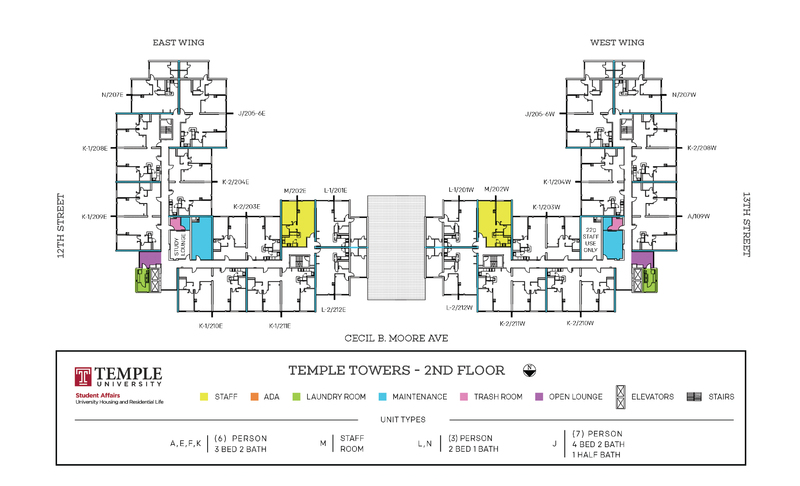 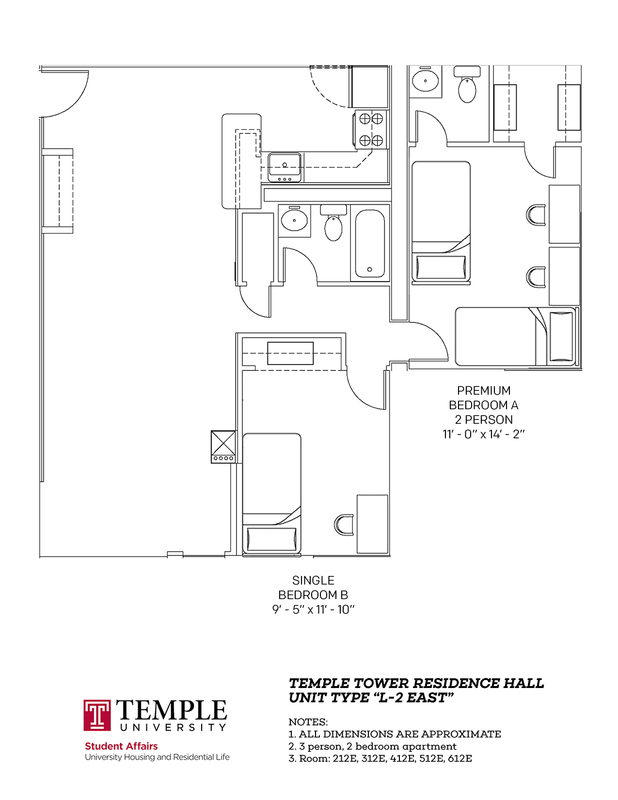 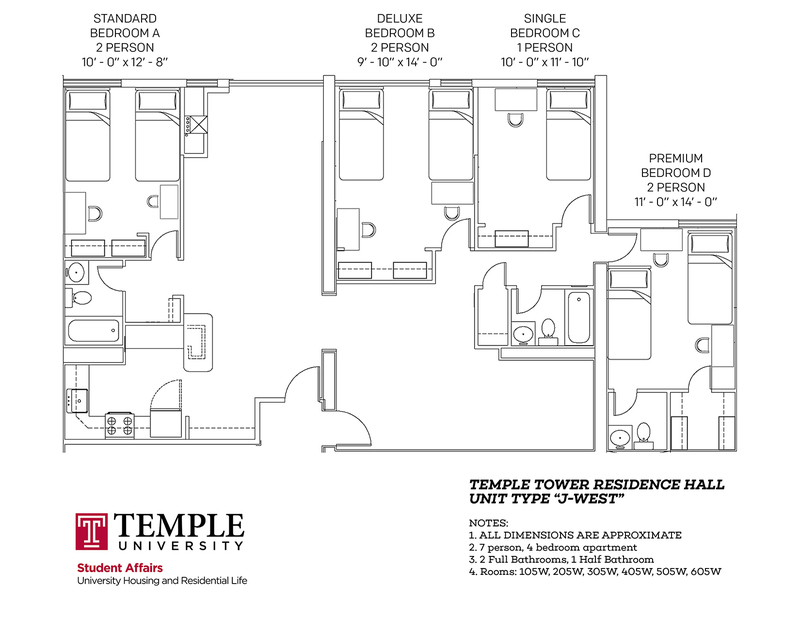 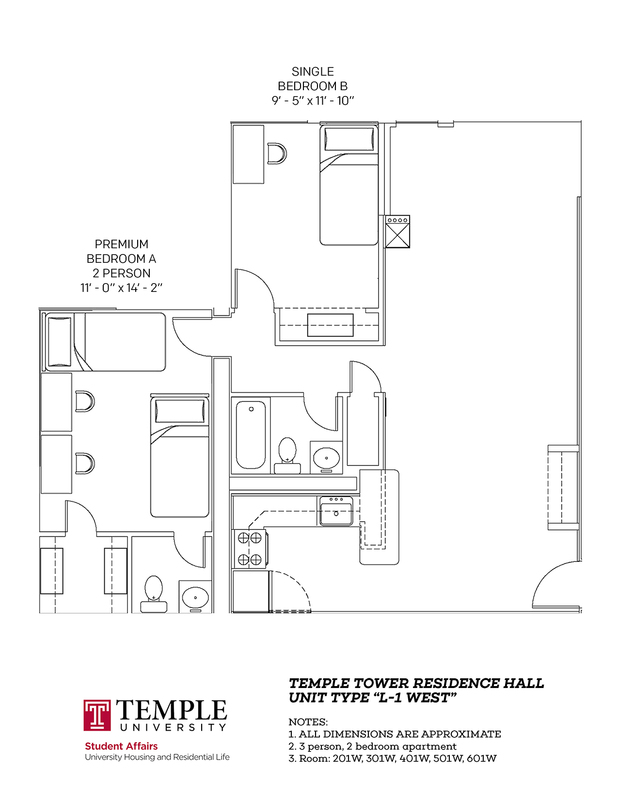 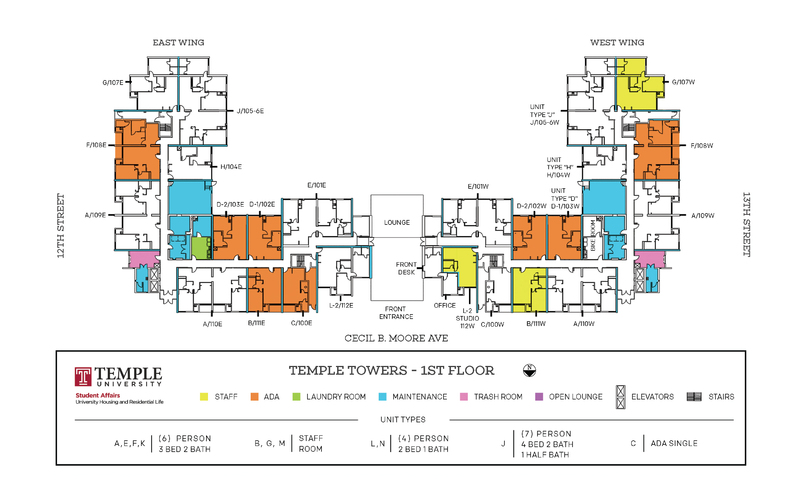 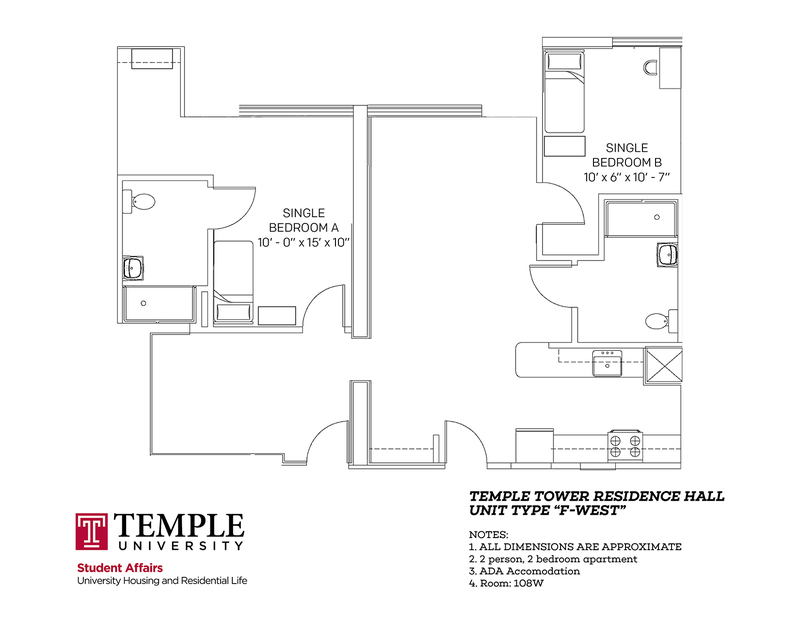 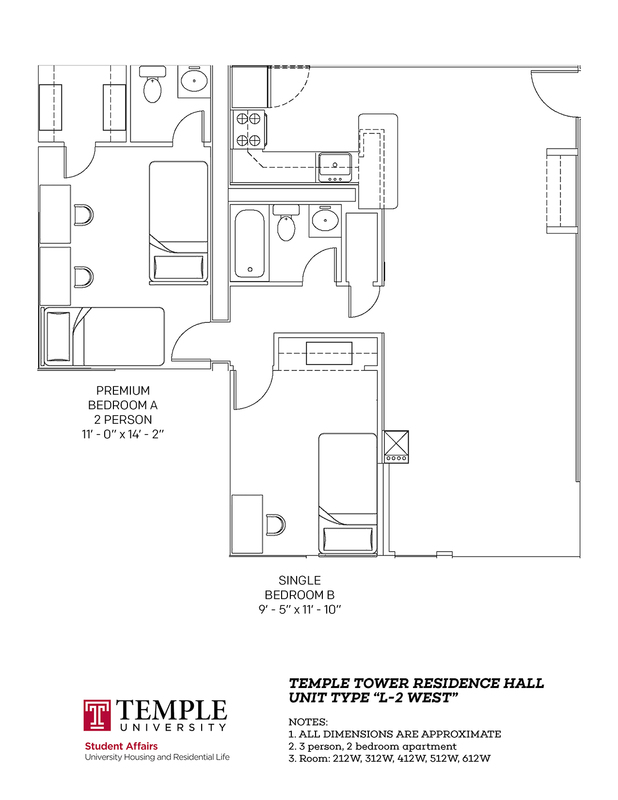 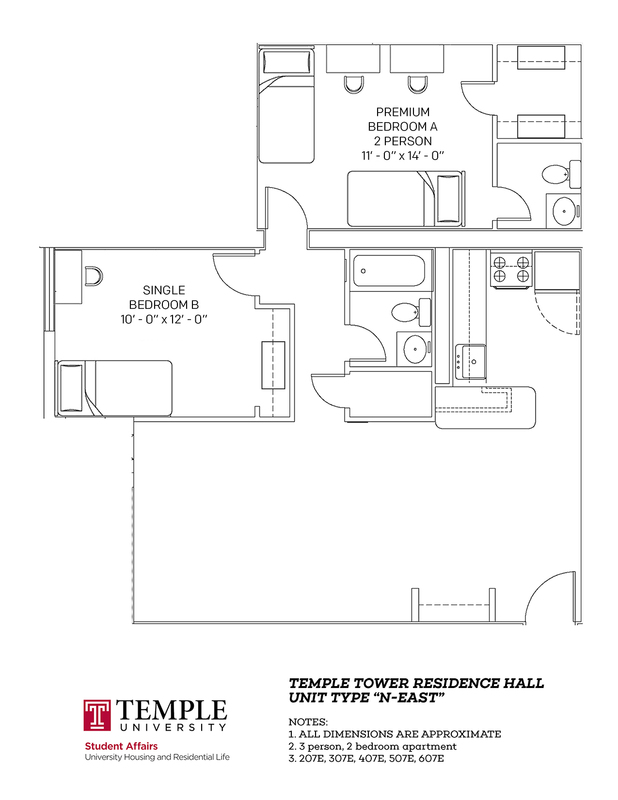 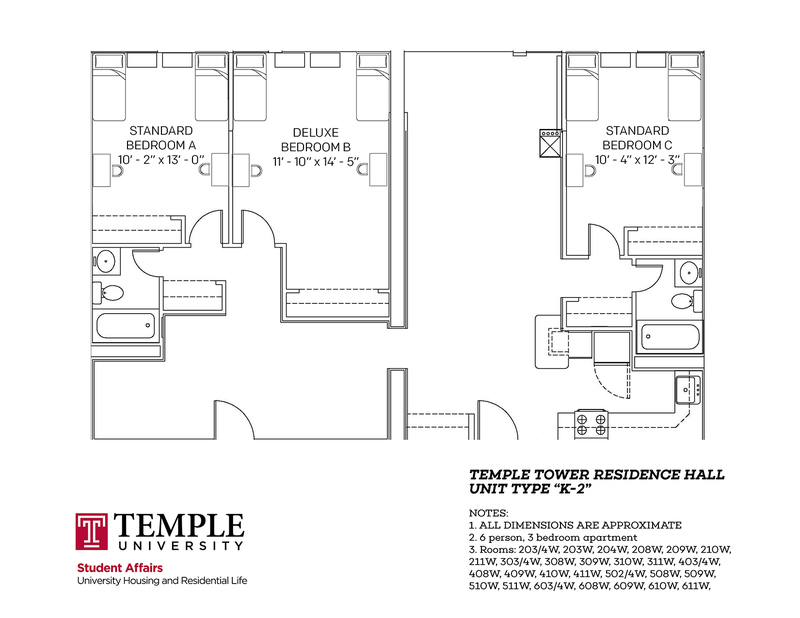 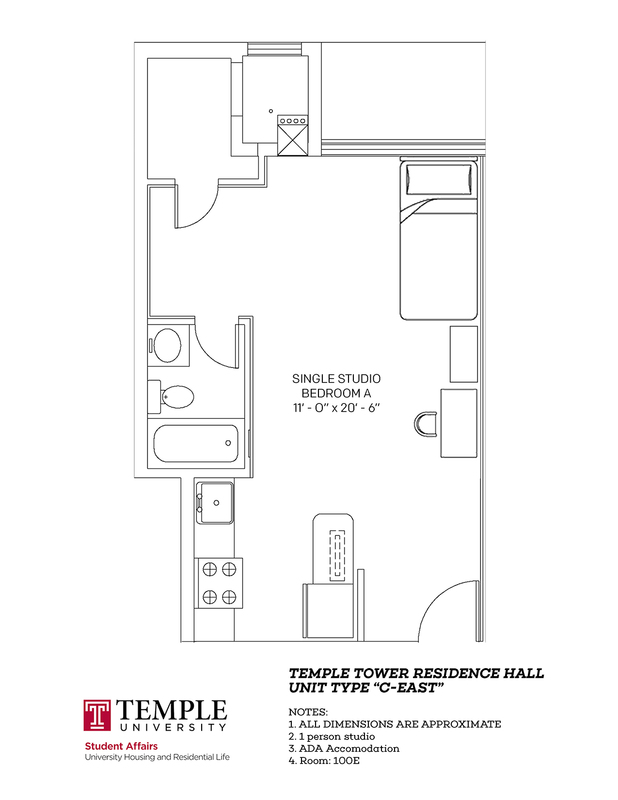 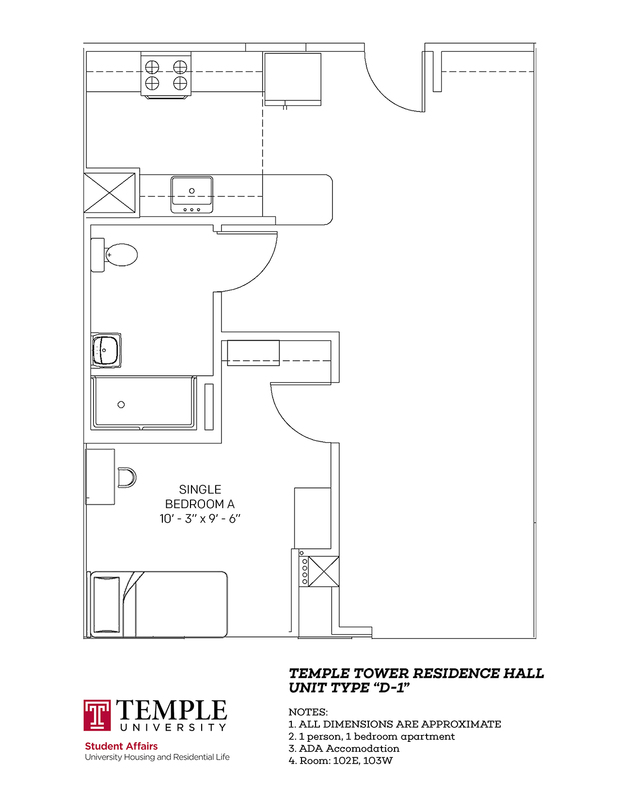 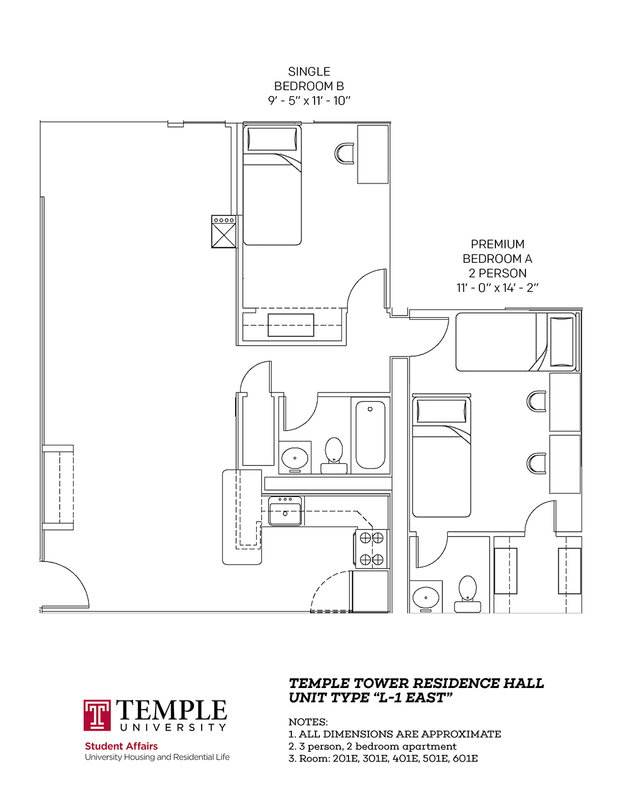 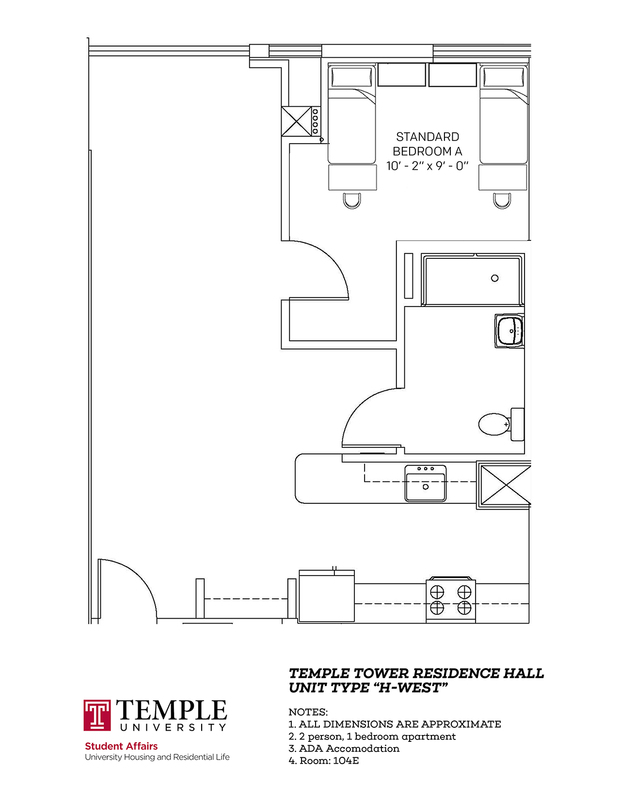 Residents at Temple Towers have the option of choosing to be on the meal plan. 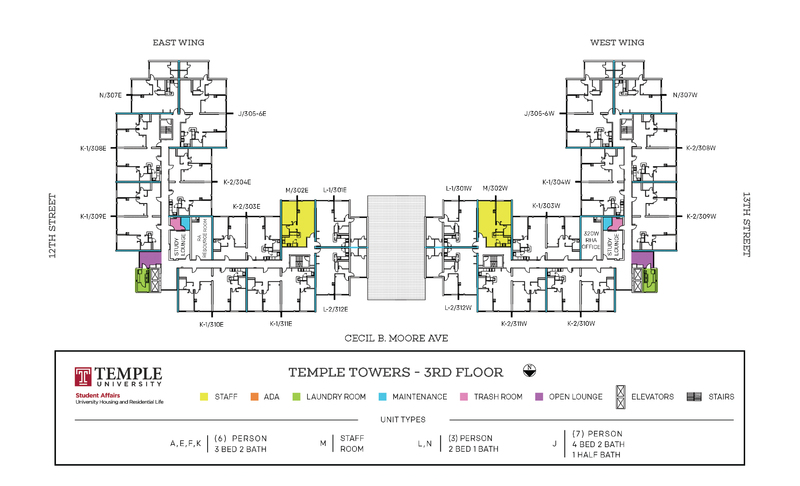 1250 Cecil B. Moore Ave.